Has anyone ever seen or heard of fishers utilizing coastal dune habitats? This was a new one for me! That is an awesome sequence and excellent observation. 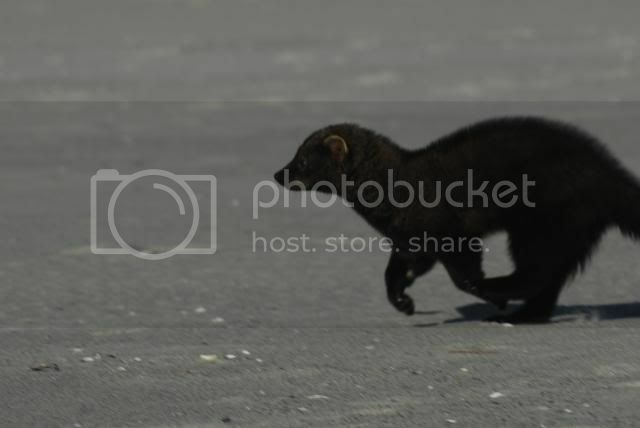 I have not heard of fishers specifically using coastal dune habitat, but I am also not surprised to see an adaptable member of the weasel family in an unexpected place. When I was a kid, I got captivated by some of the anthropomorphizing stories of Ernest Thompson Seton. The discussion on the Fisher, and it’s predation on porcupines (and anything else they can overpower), was mesmerizing. "The Fisher is a true marten, endowed with all the tricks, activity, and the peculiarities of the race. It is probably our most active arboreal animal. The Squirrel is considered a marvel of agility, but the Marten can catch the Squirrel and the Fisher can catch the Marten, so that we have here a scale of high-class agility, with the Fisher as superlative." Wow Pete, that is incredible!! What a unique sighting. Everytime I am in Fisher (or Marten) range I keep my eyes open and so far all I have to show for it is jealously of your sighting! Great pictures of it too! It was a really neat place to see one. I hope it heads back to the woods before the terns get back. 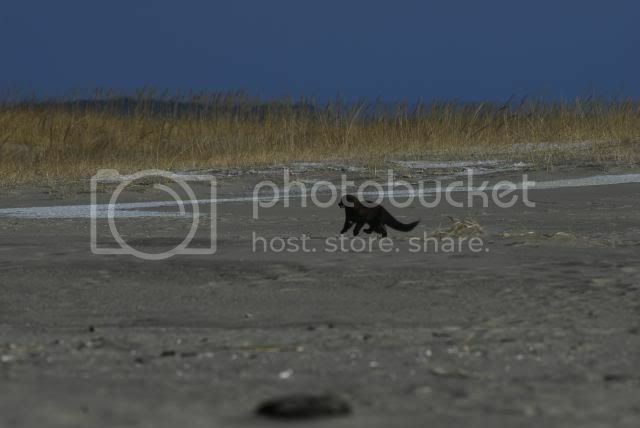 This was at the north end of monomoy nwr. The tern colonies there and all over the cape have taken a beating in the past 10 years or so. That is an incredible sighting!! I have never seen a Fisher before, but I have seen their tracks on a beach similar to that on Lake Superior. There was pine forest just off the beach, but it traveled on the beach for a mile or more. Pete, that's really an amazing sighting! I'm yet to see one, but the location certainly seems strange to me. Now that I've seen one on the beach I've been looking for evidence of others using dune habitats. This morning in addition to three snowy owls,I found fisher tracks at the beach close to my home. The dune structure is different here, there is a thicket of stunted pitch pines at the end of the barrier beach with a healthy population of cottontails. I'm gonna keep looking around as I'm curious to see how much of these areas are being utilized. that is pretty cool to see one. i'm willing to bet that they are not as specific to habitat than first thought. most records were kept after much killing had already been done. preferred habitat and utilized habitat are different. preferred would mean more animals. utilized would mean less animals and most-likely younger ones being forced out of the preferred. right now the nature center where i work has put out trail cams at some meat stations in order to find them(DNR sanctioned). there was also a confirmed roadkill near where i live. this area is right smack dab in the middle of a very large agricultural area in my state. my opinion on this is that mankind is not discriminately killing all predators like in the past. also, trapping is becoming a lost art form. i think populations are rising due to many factors such as these. heck, back in 1994 the DNR said wolves would never do all that well in our state. as of now, they have moved right through these agricultural areas and set up in island habitats to their liking. some guy was just prosecuted for killing one in illinois. This one was an adult a good sized one at that. Fishers are relatively new to the cape, with the first confirmed one in 2005. They have spread out over the entire archipelago and have some fairly strong population centers. Most of my encounters have been with animals asleep in trees. There is very little trapping done in this state as connibears and leg hold traps are banned. All must be done with live traps which I think is crueler in the long run. Oddly you can still buy body gripping mousetraps and glueboards. I guess even the warm an fuzzys have pest problems. pete wrote: This one was an adult a good sized one at that. Fishers are relatively new to the cape, with the first confirmed one in 2005. They have spread out over the entire archipelago and have some fairly strong population centers. Most of my encounters have been with animals asleep in trees. that's good to hear. enjoy seeing them when you do. i'm interested in that illinois wolf myself. folks in SW wisconsin see/hear them periodically. if they can "island hop" in illinois, who knows what will happen when they reach the appalachians. already we are seeing white cedar regenerating in wisconsin due to the wolves moving the deer around in the winter. having them is very good for the ecosystem's over-all health. the affects of them in yellowstone is mind-blowing. Nice shots! 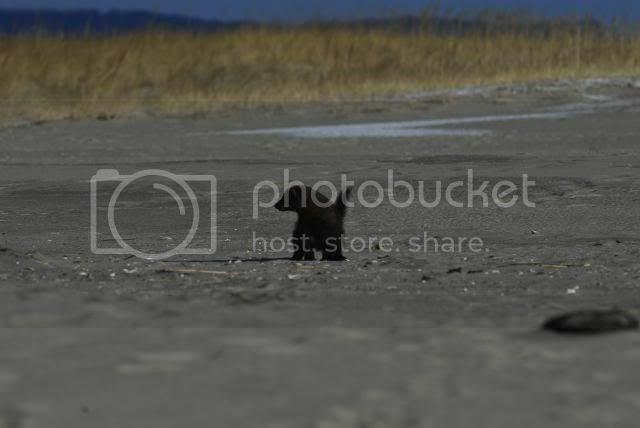 It's unusual to see them on beaches but they are spreading to any available habitat in the northeast. I did see and catch my first and only fisher in Owls Head, Maine, back in Sept. '09 which was right on the coast, but not on a beach. It was a beautiful female. "Catch," Andrew? Was this as part of a study, or were you fur trapping (don't worry, I'm not about to attack you ), or what? I'm just curious. I worked for a zoo that had fishers, and they were one of my favorite animals. (I've a particular interest in carnivores in general and mustelids specifically. Even tried to study tayras in Guatemala for my dissertation research, but they were too hard to come by.) I haven't seen any fishers in the wild yet, but I keep hoping, and now that I again live within their range (I'm in the Adirondacks now) maybe it'll finally happen. 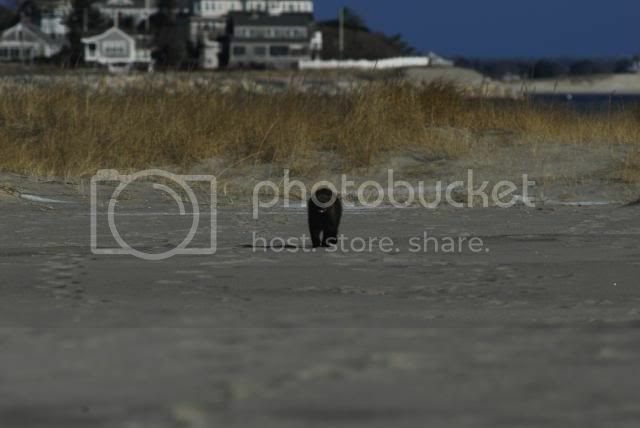 I never would have thought to look for them on a coastal beach, though - thanks for sharing with us, pete!